Credit Suisse's perspective on economic and financial market trends over the short to medium term and their implications for investors. Swiss equities are likely to be in rather less demand. Emerging market investments to remain attractively valued. Against the background of persistently stable global macroeconomic fundamentals, we continue to view equities as being attractively valued. In the event of investor sentiment improving, traditionally defensive Swiss stocks are likely to be less in demand. By contrast, emerging market equities should perform strongly in this scenario. We are therefore sticking to our overweight stance in this area, not least due to the undervaluation of various currencies. Furthermore, it is likely that the increasing normalization of monetary policy will continue to put pressure on investment grade corporate bonds, which is why we are downgrading these to "Underperform." Our preference for commodities remains unchanged. Global industrial production has weakened recently. The main reason behind this weakness is the automotive sector: In Europe, manufacturers have had to temporarily suspend production due to the new emission tests, while in Japan we have seen production outages as a result of earthquakes and storms. Part of the current weakness is therefore temporary in nature. 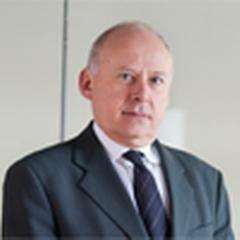 By contrast, the actual negative impact of the trade dispute has proved limited so far. At any rate, global exports are developing as they should according to economic fundamentals. The Swiss manufacturing sector has lost some of its dynamism recently. This growth slowdown is also likely to have been a consequence of the temporary standstill in the German automotive industry. More than 300 Swiss companies (with a total workforce of around 24,000) produce parts for the automotive industry, and according to a recent estimate by the University of Zurich some three-quarters of these companies have close ties to the German automotive market. 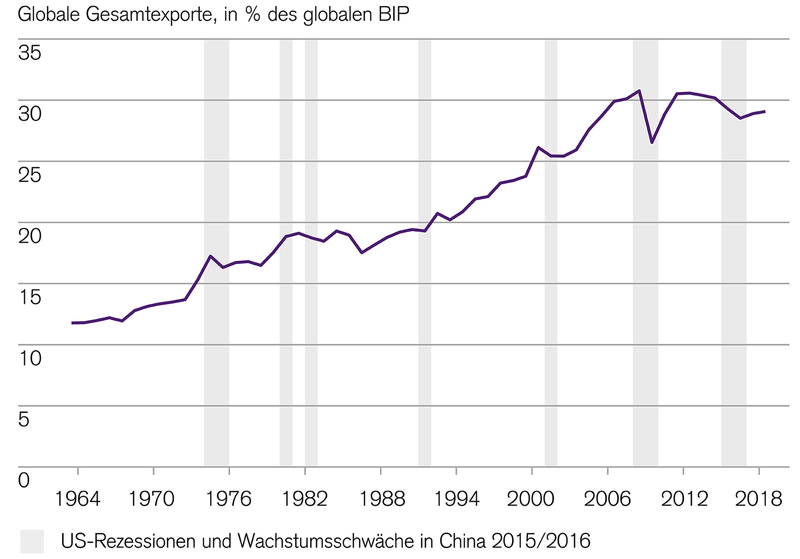 Indeed, Germany is a more important export market than China, and not far behind the US export market. 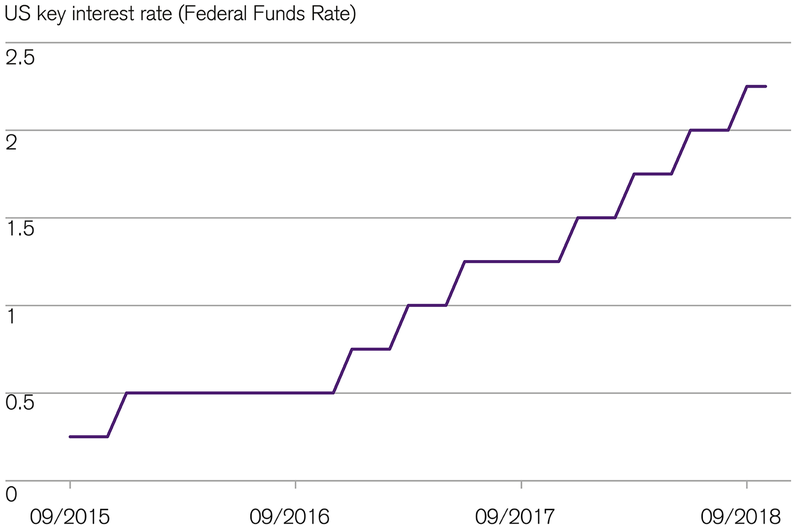 The US central bank (Fed) is likely to raise its key interest rate again in December – which would be the ninth rate rise of 25 basis points since December 2015. And further US rate hikes are expected in 2019. By contrast, the European Central Bank (ECB) and the Swiss National Bank (SNB) are leaving their key rates unchanged for now. In both cases we expect to see the first rate hike come in the fall of 2019. The bottom line is that political uncertainties are considerable and price stability does not appear to be jeopardized either in Switzerland or in the euro zone. Following the appreciation of the Swiss franc in the summer, the SNB made it clear that this appreciation had perhaps been excessive. 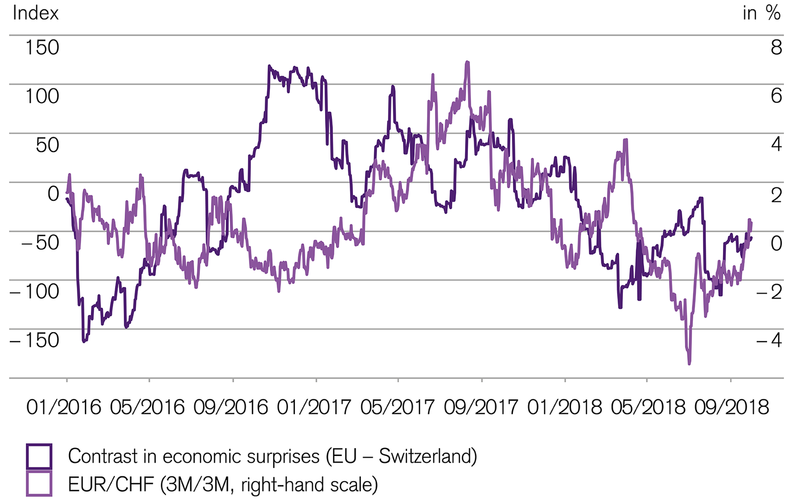 In view of the persistent political risks in the euro zone, the Swiss franc could continue to come under upward pressure, at least in phases. On the other hand, better economic data would give the euro a boost. The risks for the EUR/CHF currency pair therefore appear balanced at current levels. Our outlook for the euro-franc exchange rate over the next three months is set at 1.14. In comparison to other equity markets, the Swiss stock market no longer looks to be that attractively valued, not least because the recent price correction has been less pronounced in Switzerland. Furthermore, the higher costs of hedging foreign currency risks are likely to weigh on the earnings of Swiss exporters. 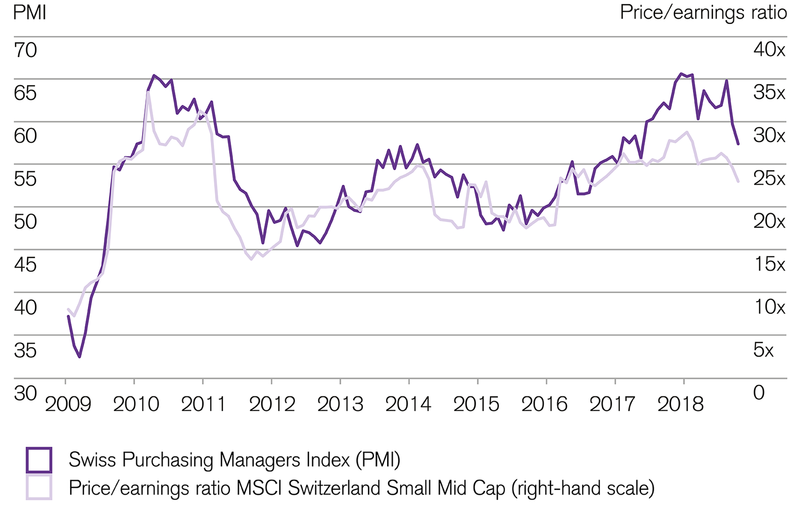 In view of Switzerland's persistently robust economic situation we are expecting local small and mid cap stocks to appreciate in particular. 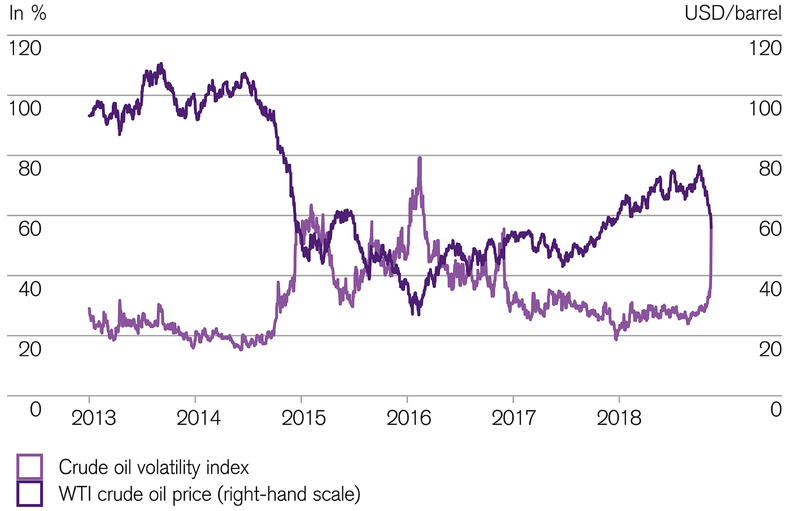 Following a brief recovery phase, commodity prices – and above all oil – have once again come under pressure. Less rigorous implementation of US sanctions, seasonal weakness, and an increase in OPEC production have all played a role here. However, we view these price corrections as increasingly exaggerated, therefore making a recovery likely. On the other hand, in the event of the global economy cooling down more dramatically than expected in 2019, a new build-up of inventories could weigh on prices. Gold has been performing rather more robustly recently, but the persistent strength of the US dollar remains a hurdle. Residential real estate price growth persists, but has lost some of its momentum recently, as expected. Overall, the third quarter of 2018 saw a year-on-year rise of 3 percent (owner-occupied apartments: +2.4 percent, single-family dwellings: +3.3 percent). 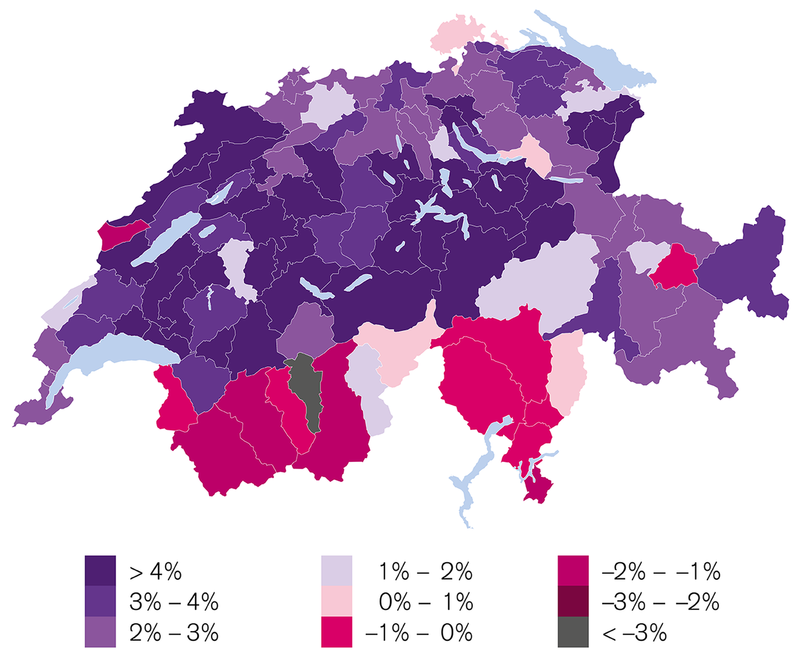 The strongest price growth at the moment is apparent in Central Switzerland and large parts of Western Switzerland. There is no reason to expect a change in this trend any time soon, as both the Swiss economy and the employment situation continue to be robust, and interest rates remain low. Would you like to find out more about the financial markets? Read up on five reasons to invest in the emerging markets. Find out here how you can use commodities in your portfolio effectively. Read up on the opportunities presented by consumer spending in the emerging markets.